We see a number of young athletes, especially at this time of year, at our Texas Orthopedics offices and our Urgent Injury Clinic, located in Northwest Austin. As kids are back in school, many have rejoined their favorite fall sports teams or are trying out for new ones and get some bumps and bruises along the way. 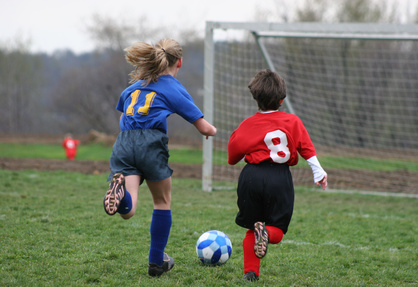 If you haven't already done so, get your child looked at by your pediatrician to ensure they are in top form before starting to play, especially with a new sport. Also, let your doctor know if they've been injured in the off-season. 2. Ramp up the diet. Proper nutrition is essential for growing bodies, especially young athletes who are exerting a ton of energy. Make sure they consume enough daily calories and eat a well-balanced diet. Lack of calcium, and other important nutrients, can lead to bone damage and injuries such as stress fractures. 3. Check all equipment for proper fit, from head to toe. Pay special attention to shoes and helmets. Equipment should be snug, but never too tight or loose. And if it's used, make sure it is not damaged or worn out. Tendonitis one of the most common overuse injuries in kids. Proper stretching beforehand can help. Encourage your child to do some easy warm-up exercises and stretches before starting to play. Build in rest time after each game and practice so your child can recuperate and muscles can heal. Injury can easily occur when their young bodies are maxed out from too much physical activity. If your child has been injured in a late afternoon or evening game, after business hours, stop by our Urgent Injury Clinic for an evaluation. No appointments are necessary, most major insurance is accepted, and we offer onsite x-ray, casting, and bracing. Texas Orthopedics is excited to announce that we have a new team member. Dr. Zachariah Logan joins the practice as a fellowship trained, orthopedic surgeon. His specialty is adult hip and knee reconstruction. Dr. Logan spent time in the Army, fought fires in Alaska, and served as an EMT -- while stealing study breaks in the back of ambulances -- all before deciding to enter medical school. He earned his undergraduate degree at Oklahoma State University, and later attended medical school at the University of Oklahoma. Dr. Logan completed his orthopedic surgery residency at the University of Florida, where he served as chief resident. As a medical student, Dr. Logan was immediately drawn to orthopedics because he loved contributing to the positive and life-changing results provided by a successful bone or joint surgery--often restoring mobility in patients, and the importance of independence, that was once compromised. Dr. Logan completed an Adult Joint Reconstruction Fellowship at the Mayo Clinic-Florida (Jacksonville). During his training, he gained experience in complex primary and revision hip and knee replacements, robotic-assisted surgeries such as the MAKOplasty partial knee and total hip replacements, and joint-preserving surgeries for avascular necrosis (vascular damage). We are eager to have him share with us, and our patients, these innovative technologies in joint reconstruction and replacement. Dr. Logan will treat people at our Round Rock and Cedar Park locations starting September 26. Please contact us to schedule an appointment with him. How Much Salt Do Runners Need? In the Texas heat, we know that physical activity and sweating go hand in hand. Many of the athletes we treat, especially runners, think that added salt/sodium in their diet is necessary to enhance performance, replenish electrolytes, ward off muscle cramps, and prevent exercise-associated hyponatremia--low sodium levels that could lead to headaches, nausea, and even seizures or coma in extreme cases. 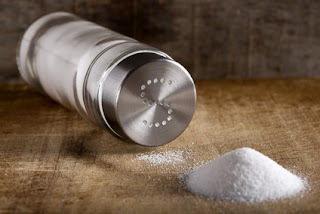 Yes, there is ample evidence to the contrary warning that too much salt can have negative impact on your health also, such as contributing to hypertension (high blood pressure). So what's a runner to do? There was no overwhelming evidence that sodium intake is directly linked to enhanced performance or decreased muscle cramps. It was also determined that sodium intake could not prevent hyponatremia, and that the actual primary cause of this condition is drinking too much water. Drastically decreasing your sodium intake over a short period of time could be dangerous by causing your body to become depleted of many vital nutrients and fluids needed to function healthily. While it was stressed that further research is needed here, it can be concluded that how much or how little salt your body needs during exercise is entirely up to the individual. And that regular exercise itself is such an important part of a healthy lifestyle in order to keep all of our bodies' systems in balance. The American Heart Association currently recommends that all healthy adults get 2,000 to 2,300 milligrams of sodium per day, with endurance athletes--including runners--consuming more as needed. If you have trouble with muscle cramps, any-other running-related issues, or would like to discuss a change in your diet/sodium intake, please contact us for an appointment. 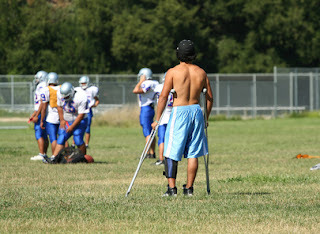 Friday night lights are here, and with that we're seeing lots of athletes with dislocated shoulders. This can come from taking a tough tackle, or unrelated to football -- an unexpected fall crashing hard onto your side. However, you got it...it's downright painful! Here's why: as the top of your arm bone pops out of the socket, swelling typically sets in right away, followed by pain and a limp, dangling sensation. Ouch! Immediate treatment is often needed to get the bone put back into place, and in some situations, arthroscopic surgery may be required to tighten the tendons surrounding the shoulder/joint. While the idea of surgery may not be your first choice, don't shrug it off so fast. Recent research presented at the American Orthopaedic Society for Sports Medicine’s (AOSSM) Annual Meeting, showed that surgery after a first-time shoulder dislocation decreased the risk of it happening again compared with non-surgical treatment. The study assessed 121 patients, ages 16-30 years, at an average of 51 months post surgery. Following surgery to repair the dislocation, the subsequent rate of re-injury intros who had it was 29% compared with 62% for those who opted out. To discuss options for surgery as a preventative measure for recurring shoulder dislocation, please contact us for an appointment. The CDC (Centers for Disease Control and Prevention) reports that only 23 percent of the more than 27 million Americans with osteoarthritis (OA) meet the recommended guidelines for at least 150 minutes of moderate exercise per week. OA is a debilitating disease caused by damage joints. Symptoms may include joint pain and stiffness along with decreased mobility. Yet staying mobile is one thing that may significantly help reduce the pain and side effects associated with this condition. 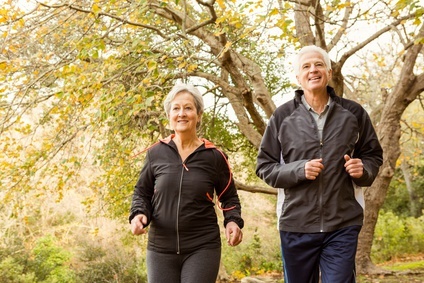 Evidence shows that moderate exercise, including regular walking and stretching, can provide multiple benefits to those with OA, and even help combat frequent knee pain that is so common. Keeps cartilage healthy: Walking, and other forms of moderate, low-impact exercise, can increase blood flow to cartilage and deliver nutrients to keep it abundant and healthy. Strengthens muscles surrounding the knee: Walking helps build strong calves, hamstrings, and quadriceps muscles surrounding the knee joint. When these muscles are stronger, they can bear more weight and work more efficiently, so the knee itself doesn't have to. Helps with weight loss: Increased physical activity, like regular walking, and a healthy diet can help shed a few pounds. Less body weight to carry means less stress on your weight-bearing joints, such as your knee. Increases flexibility: Joint stiffness is a common symptom of OA. Regular walking and stretching can actually lubricate the joints allowing for better range of motion and greater flexibility. As with an exercise routine, check with your physician first before starting something new, especially if suffering from a serious condition like OA. If you would like to discuss your current OA condition and treatment options, please contact us for an appointment. 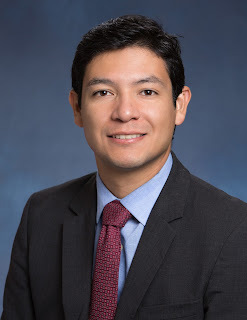 We are thrilled to announce the addition of J.P. Rodriguez, M.D., to our team of physicians at Texas Orthopedics. Dr. Rodriguez is a sports medicine fellowship trained orthopedic surgeon. His specialties include Sports Medicine, Arthroscopy, and biologic and stem cell therapies. He has extensive training in the treatment of shoulder, elbow and knee injuries and youth sports injury prevention, something Texas Orthopedics is passionate about. Dr. Rodriguez is a graduate of Rice University and the University of California, San Francisco, School of Medicine. He completed his orthopedic residency at the San Francisco Orthopaedic Residency Program, and his fellowship at the Andrews Institute for Orthopaedics & Sports Medicine. During his fellowship, he treated world-class athletes from the NHL, NFL, NBA, and MLB. Texas Orthopedics is fortunate to have Dr. Rodriguez on our team, and we know that our own staff and patients alike will benefit from his extraordinary experience in the field of sports medicine. He will see patients in Northwest Austin as well as our new Kyle location starting on September 15th. That's right...a brand new office location is set to open in Kyle in early 2017, featuring state of the art equipment and additional specialists, including orthopedic trauma and rheumatology, as well as an infusion center. To schedule an appointment with Dr. Rodriguez, or any one of our physicians, please contact us here. Parents, listen up: experts say if your child plays the same sport year-round, he may be at risk for serious injuries and burnout. New research shows that overuse sports injuries in children could have a serious effect on their growing bodies. Overuse injuries literally come from 'overusing' the same group of joints or muscles too much. (Think throwing a ball, or kicking it over and over.) These repetitive motions can be damaging, and painful, to a youngster. A common overuse injury might be a stress fracture or tendonitis. The American Academy of Pediatrics (AAP) has issued a warning to parents whose kids play year round sports, or focus too early on one single sport. They say that burnout is almost certain, and season-ending injuries can likely occur. The youth sports culture has changed drastically over the past 40 years with children increasingly focusing on a single sport at an early age and continuing to play that same sport all year long. Many kids are determined to gain college scholarships, or pursue a professional athletic career, due to pressure from parents and coaches, even though those may be unrealistic goals. Approximately 70 percent of children choose to drop out of organized sports by age 13, because of mounting pressure to perform well, the stress of competing, or lack of enjoyment. Children who participate in a variety of different sports however are more inclined to make physical activity a priority in their lives for years to come. The AAP encourages children to try out multiple sports and avoid specializing in any one sport until late adolescence when their bodies are more mature and have finished developing. You can read the full report and learn more about the AAP's complete recommendations for participating in youth sports right here. We treat ankle injuries all day, every day at Texas Orthopedics. We see fractures and sprains, and everything in between. Ankle injuries are common in many sports, and equally as common due to daily mishaps like tripping and falling. While some ankle injuries are not always preventable, many are simply by maintaining good ankle strength. Much like strong ab muscles support your core and upper body, strong ankles provide balance and support for your lower body. Toss a large ball back and forth with a partner while standing on one leg. Make it harder by using a medicine ball for added weight. Stand with one foot on a balance disc, or board, for as long as you can without falling over. Stand on one leg and bend forward at the waist as far as you can. Work your way up to 15 bends in a row. Wrap a resistance band around both feet while seated, then rotate your feet upward and outward, working against the resistance. Try for at least three sets of 10. Raise and lower yourself up onto your toes by engaging your ankles and squeezing your calf muscles together. Once on your toes, hold this position for five seconds. Repeat up to 10 times. Remember when doing these exercises to protect your ankles by wearing comfortable, properly-fitting and supportive shoes. If you ever notice a sharp, or constant nagging pain, or swelling around your ankles, please contact us for an appointment. September marks the start of football season for a lot of eager folks in Central Texas. But for many, soccer is just as popular a fall sport as football, especially among women. There are many elite women's high school and club soccer teams around Austin, as well as at the University of Texas, where several players have gone on to play professionally and for national organizations. Soccer injuries that we frequently see in our office at Texas Orthopedics include sprains and strains, fractures, and ACL tears. In fact, female soccer players have a three times greater risk of ACL injury compared to males. 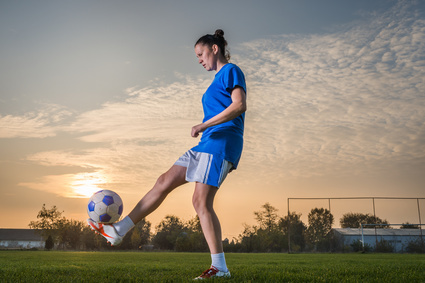 A recent study shared by the American Orthopaedic Society for Sports Medicine (AOSSM) revealed that wearing a neuromuscular device can help reduce ACL injuries in female players. 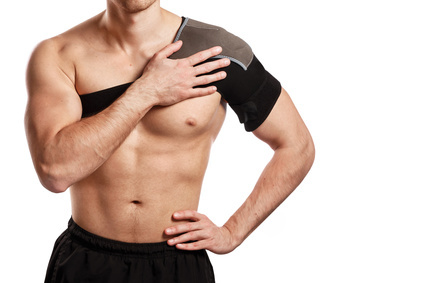 A wearable neuromuscular (WNM) device transmits tiny electrical signals through the skin to the muscle and surrounding tissues to keep them flexible and primed for action. A total of 79 youth and collegiate female soccer players (ages 12-25) trained with a WNM device applying topical pressure to the quadriceps and hamstring muscles. They completed seven to nine weeks of pre-season training with the device consisting of strength and conditioning exercises along with regular team practices. None of the athletes in the study experienced an ACL injury during training or the entire course of the season. These results should encourage coaches and teams to try out WNM devices for their athletes who are prone to leg/knee injuries or have suffered an ACL injury in the past.